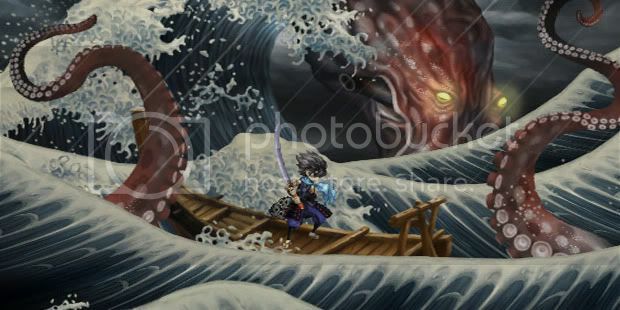 I just got my copy of Muramasa: The Demon Blade recently, and I'm completely in love with it. 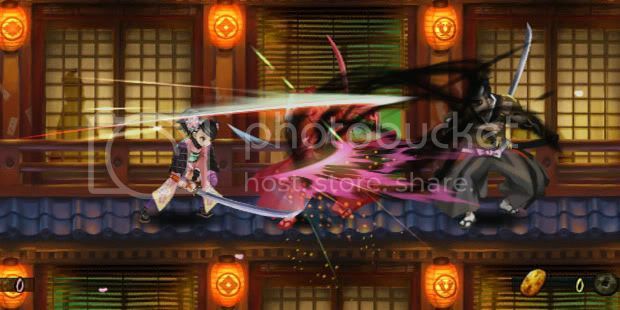 Muramasa is the kind of game that was just made for me, so instead of writing a full-on, totally biased review, I'll pass on some advice that I hope will help you enjoy Muramasa: The Demon Blade to it's fullest. This is one that you might have heard already, and it's pretty important. 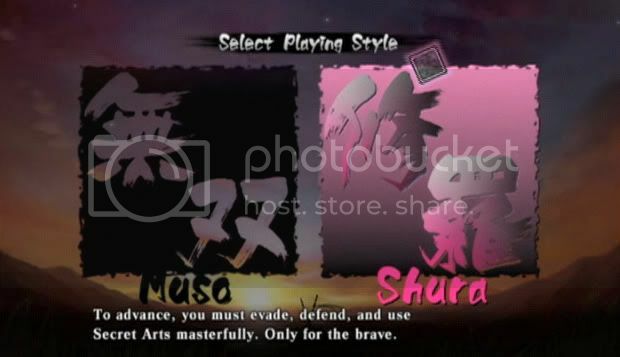 Muramasa has two difficulty modes, and if you want to get any real enjoyment out of the combat at all, I strongly recommend that you play on Shura Mode, which is the higher difficulty level. On Shura, the combat isn't nearly as mashy, and a lot of the timing and nuance really comes through. But without the tougher enemies of Shura pushing you to learn the combat system and get better at it, the game is really boring. I repeat: do not play on Muso. And you can now subscribe to the LAPD podcast on iTunes! Muramasa asks you to choose your difficulty and character every time you load your save, which means that you can play both characters concurrently on the same save if you wish. And the first time you see the blade forging tree, you'll assume that the game actually wants you to play both characters concurrently. I would definitely recommend against this, and suggest playing each character's story separately, one after the other. 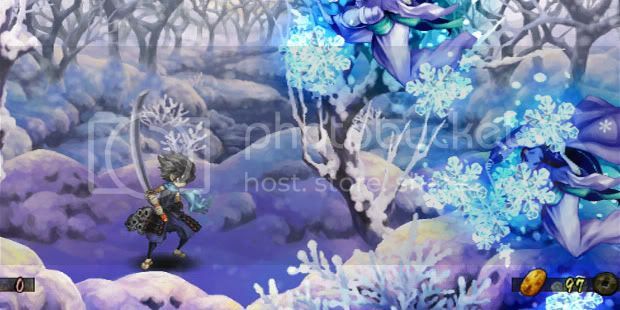 First off, it helps you understand the story: the localization of Muramasa has lots of Japanese character names and city names, which is appropriate (it feels like a period piece), but it can make the narrative a little hard to keep track of at times, even though the two stories aren't more complicated than any stage play. But keeping track of only one story instead of both at once is a big help. I was playing one character at a time, and I still briefly mixed up "Rankai" and "Raijin," so read a little more carefully than usual too. 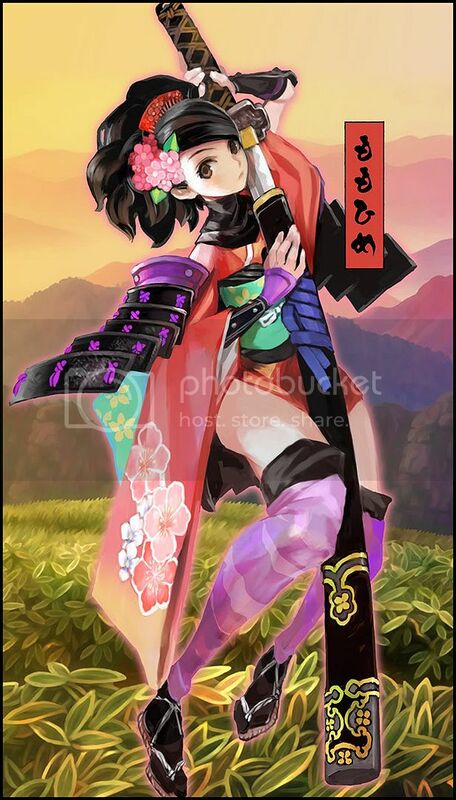 Note: It seems to me like Kisuke's story is a bit harder starting off, so you might want to start with Momohime's story and work your way up. But hey, that's up to you. Either order works. This is one of those games that uses "up" to jump. To many of us who grew up with 2D platformers, that's an incredibly weird decision, and it especially feels awkward with an analog stick. So definitely play this game with a directional pad, preferably with the Classic Controller (or Pro). A proper d-pad makes up-jumping feel much better, and in addition, dodging is done with a quarter-circle-ish motion, which also feels better to me on a d-pad over an analog stick. There should have been an extra option to assign the A button to jump (or change A to slash and B to jump) since A is only used to confirm selections, but unfortunately there isn't. So we work around it, and play on a Classic Controller. No matter how great the art direction is (and it's pretty damned great), the Wii is still only capable of outputting 480p. So if you're sitting really close, or if you have a huge HDTV, you still might be able to see a little aliasing. It's not a big deal, but if you're noticing it, just sit a bit further from the TV and any aliasing should fade away. Your eye doctor probably approves as well. The map can be in one of three states: it'll either be a minimap at the top of the screen, a full-screen map, or completely off. On the Classic Controller, you can switch between these with the Minus button, and I recommend that you keep the map completely off as much as you possibly can. First off, it distracts from the beautiful background art. And really, that should be reason enough. Also, it makes the game, which is decently linear, feel much more open. By looking at the map as little as possible, you tend to explore around much more—instead of following the ever-present mini-map arrow—and occasionally you'll find items, save points (which heal you), or challenge rooms for your trouble. It really helps the game not feel so rigid. In addition, the extra random battles that you'll encounter as a result of simply exploring around will lead to extra XP, souls (for forging better swords), and money. But unfortunately, it's not feasible to get around by not looking at the map at all, so you'll still be referencing it occasionally. I really wish I could just look at an area and say, "Oh, that's the way to Mikawa!" or whatnot so I could just visually get around, but that isn't the case. One of my biggest disappointments about the game is that some provinces look exactly the same as other provinces, and I really wish that all of them were more visually distinct. But I've never been to Japan either, so for all I know, those specific areas actually did look similar to each other before the Edo period. You can buy recipe books and ingredients pretty early on in the game, and as long as you're not taking a lot of damage all at once, carrying cooked items and eating hot pots is usually the way to go when it comes to healing yourself. They not only give you a good amount of health, but cooked food also tends to give you a ton of spirit, which is used for forging swords in the game. And honestly, there are plenty of times where there was a dish in a restaurant that I had never heard of, so I just bought it to see what it would look like. The cooking is really pretty. Now go pick up a copy! Enjoy!